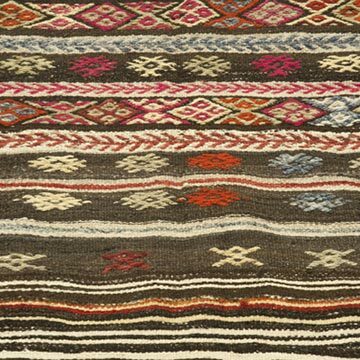 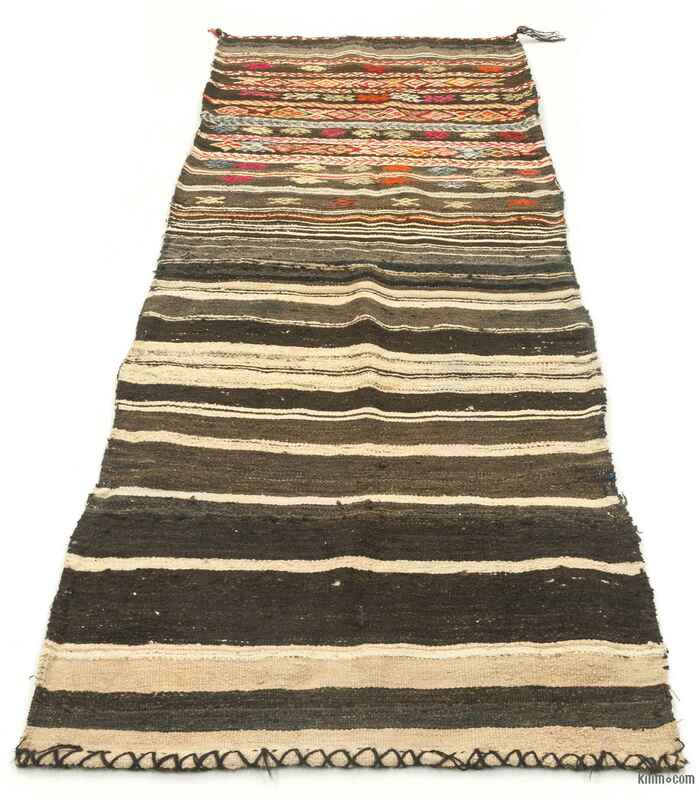 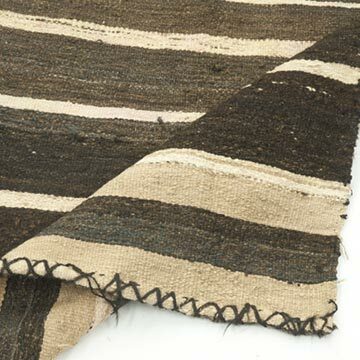 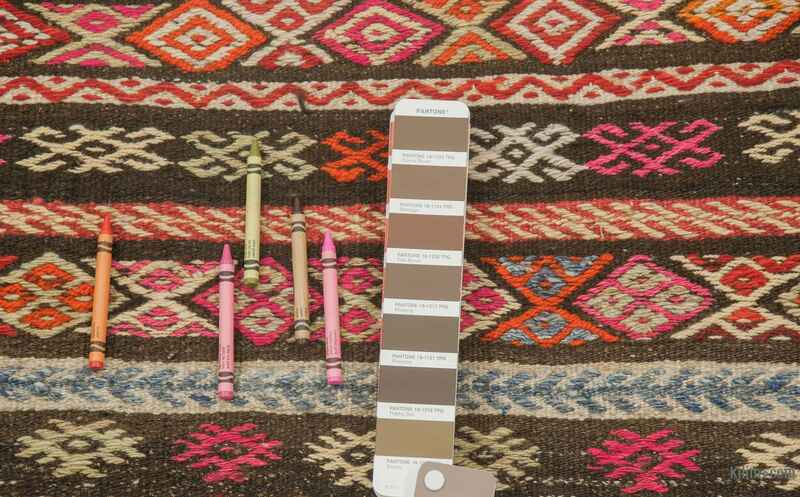 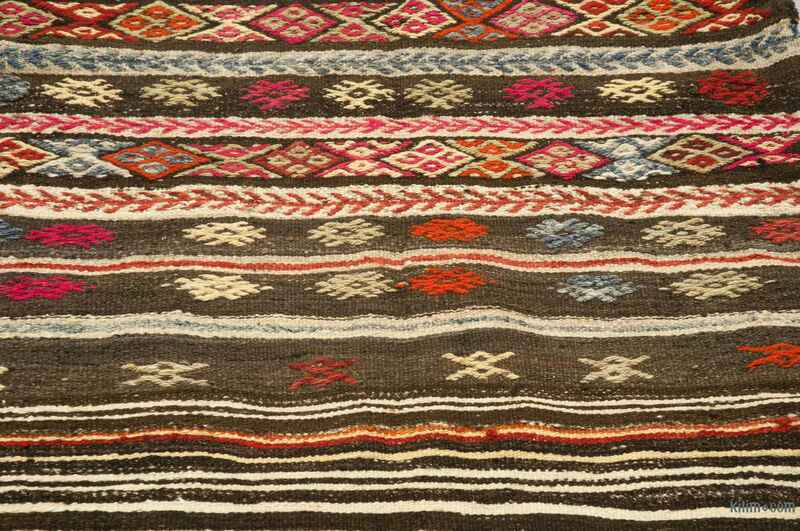 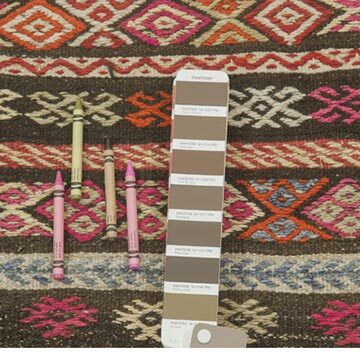 This kilim runner is originally a vintage Anatolian embroidered Chuval (bags made for carrying produce and for storage in a tent or house) hand-woven in 1960's. 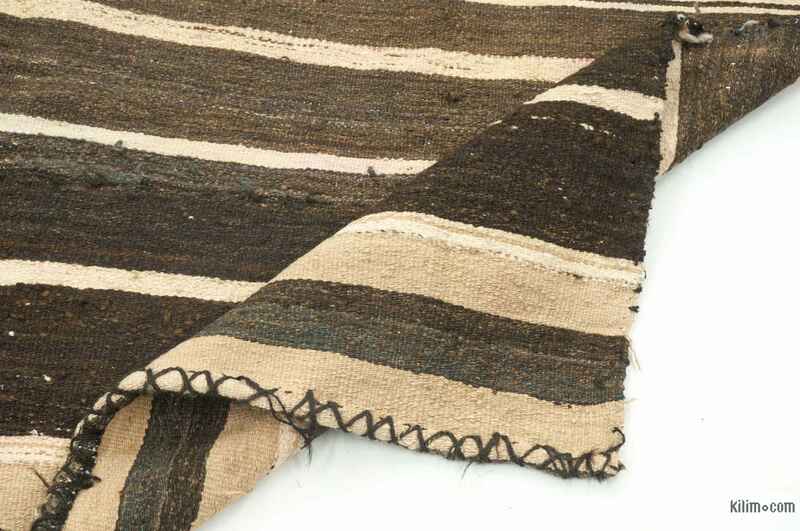 We pick those in good condition and after carefully unstitching them, a final cleaning process is applied. 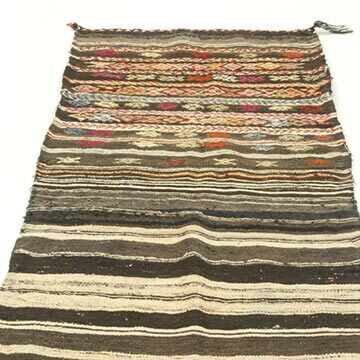 The asymmetric look is a result of the decoration made only for the front side.